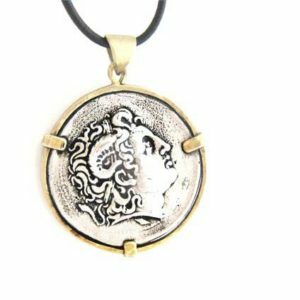 Ancient coin pendant in sterling silver with a solid bronze frame! 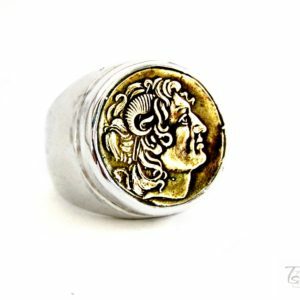 An amazing replica of an ancient coin from the Minoan culture. The coin is framed with solid bronze and has total diameter approx. 20mm. The diameter of the coin is approx. 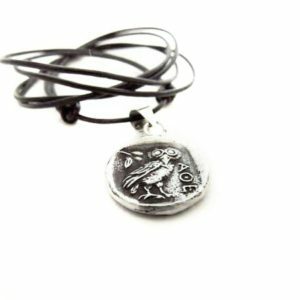 18mm and the length of the charm is approx. 30mm. 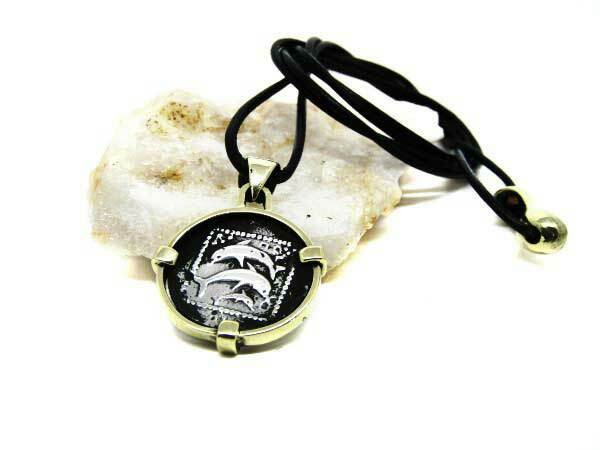 A fashionable pendant that connects the beauty of the old with the needs of today! 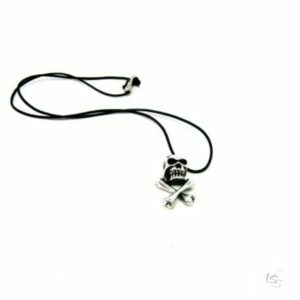 Your pendant will arrive with a real leather string and a secure clasp, in a gift box. (the string is easily adjustable). You will also receive a polishing cloth for silver.